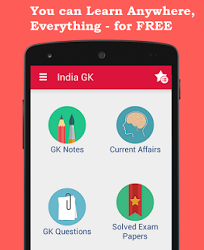 3, 4 September 2017 Current Affairs MCQs, Quiz, Questions: Current Affairs for September 2017, Daily Multiple Choice Questions (MCQs) for India GK, World GK and current affairs with Collection of daily objective type Question by www.Indiagk.net based on General Knowledge (GK) and General Science (GS) Questions for UPSC, State PSC, SSC, Police exam, Railway exam, SBI, Bank PO, IBPC, SSC, LDC, UDC, Army, Airforce, Navy, Coast Guard, Bank Clerk, TET and all entrance examination with current affairs News, Multiple Choice Questions (MCQs) available on Website www.IndiaGK.net and Android Apps with daily updates:. Which country recently does underground nuclear test? President of India has appointed whom as India’s first full time woman defence minister? Who has been appointed as the new Union Minister of Railways? Who is 1st Wicketkeeper to take 100 Stumpings in ODI? Which Media group wins IPL Broadcasting Rights for next 5 years? Who was nominated as the new US ambassador to India in September 2017? Which country recently Bans Raising Funds through Cryptocurrencies?